Will Streaming Music Services Kill the Music Industry? I have always been a fan of music. The first song I can really think of totally being obsessed with was “Girls Just Wanna Have Fun” by Cyndi Lauper (imagine that). I remember listening to that with my mom over our Chevy Caprice‘s radio. I was just a little kid but I’ll never forget. Chumbawamba‘s Tubthumper was the first CD I ever owned. Don’t judge me, judge my uncle who chose the album, I was 13 years old. A few years later I would start recording from the radio and eventually use Napster to discover and download new music, later to AudioGalaxy. In high school I became known as the guy to go to for CD compilations. As I started to concern myself with audio quality, I dropped all the music from file sharing sites like Napster and started replacing the tracks with high quality rips of CDs I’d buy. 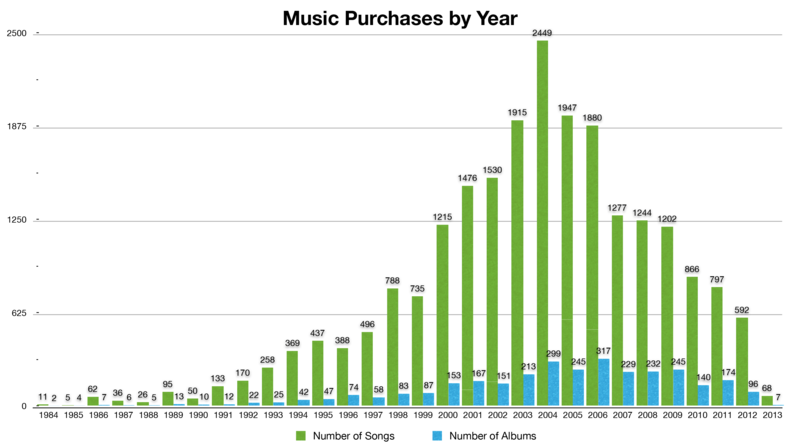 Later iTunes became my music store of choice with a handful of albums from AmazonMP3. Since then it’s been sort of a non-stop buying spree for me. Or so I thought.